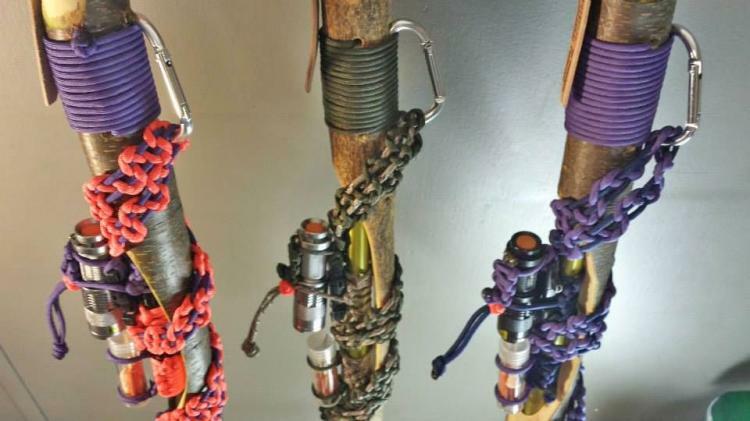 Much like how the paracord survival grenade has pretty much everything inside of it to survive in the wilderness should you become stranded, the survival hiking stick also packs loads of survival gear all within the confines of a hiking stick. 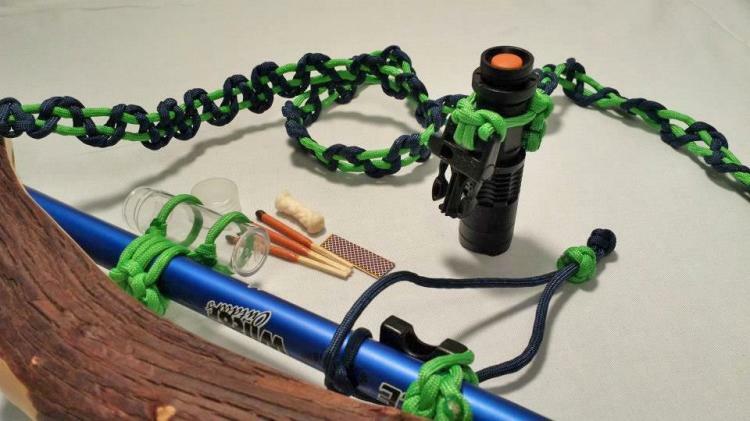 Including 20 feet of paracord that's wrapped around the body of the hiking stick like a hand grip, along with a bunch of stuffed attached to the hiking stick via the paracord including a 300 lumen focusing flashlight, a whistle buckle that can be heard from over a mile away, along with a waterproof vile that contains storm proof matches, a striker pad, and military issued quick tinder. 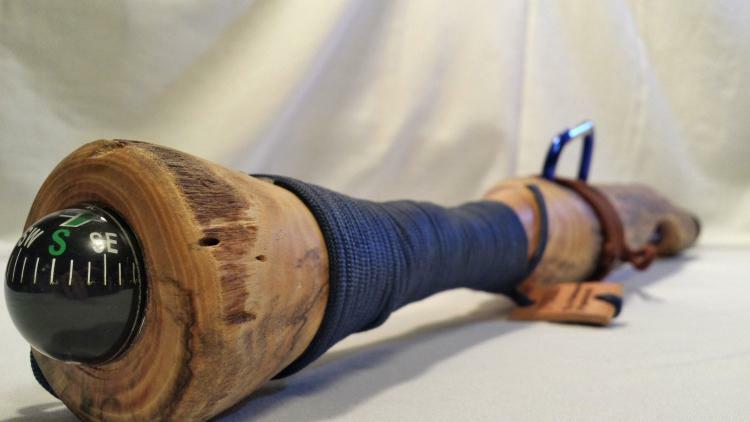 The survival hiking stick also contains a shoulder strap that's made up of 50 extra feet of paracord. 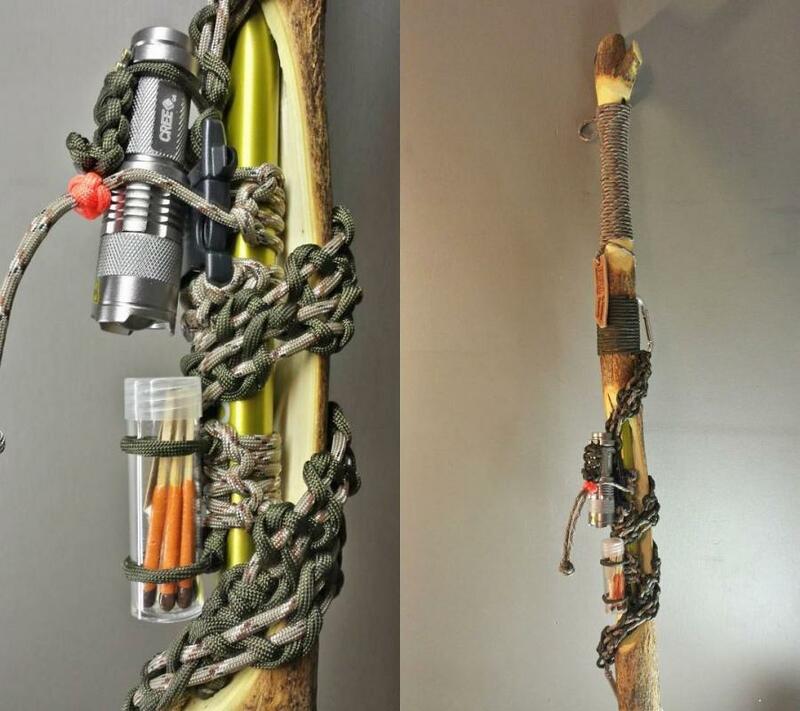 If that wasn't enough, the hiking stick also has an additional 5-7 feet of paracord that secures a carabiner for hanging some of your gear off of the stick for easier transport, a secondary carabiner for carrying even more stuff, and to top it all off, there's a large liquid filled ball compass on the very top of the hiking stick. 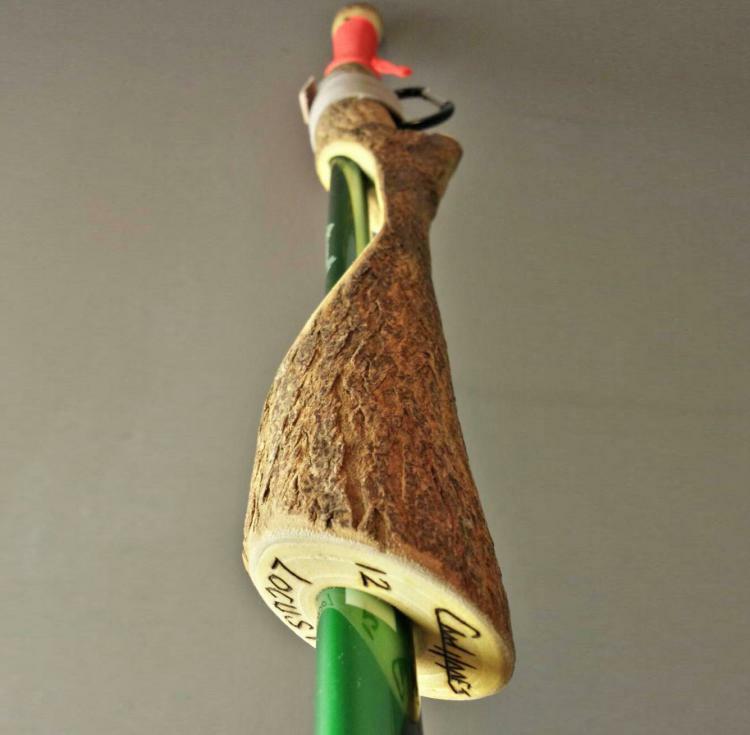 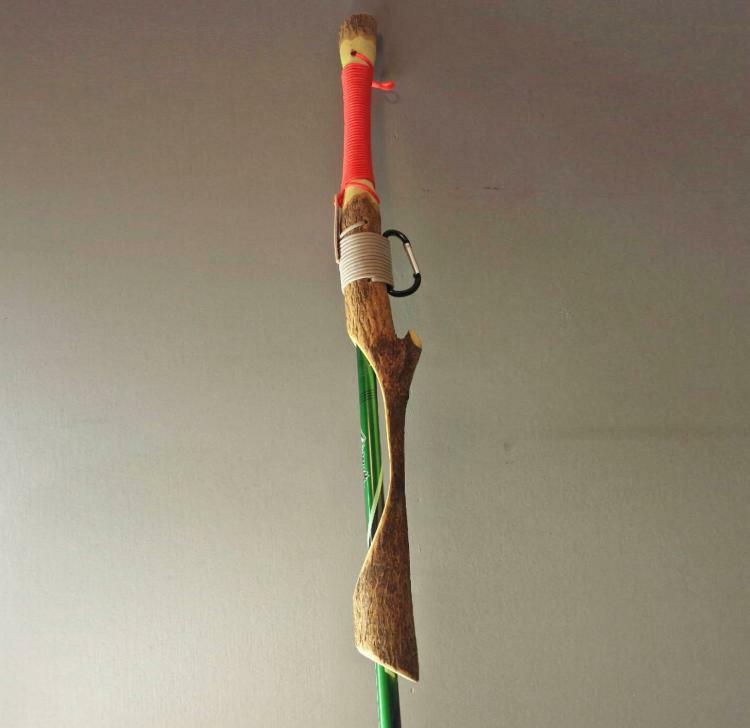 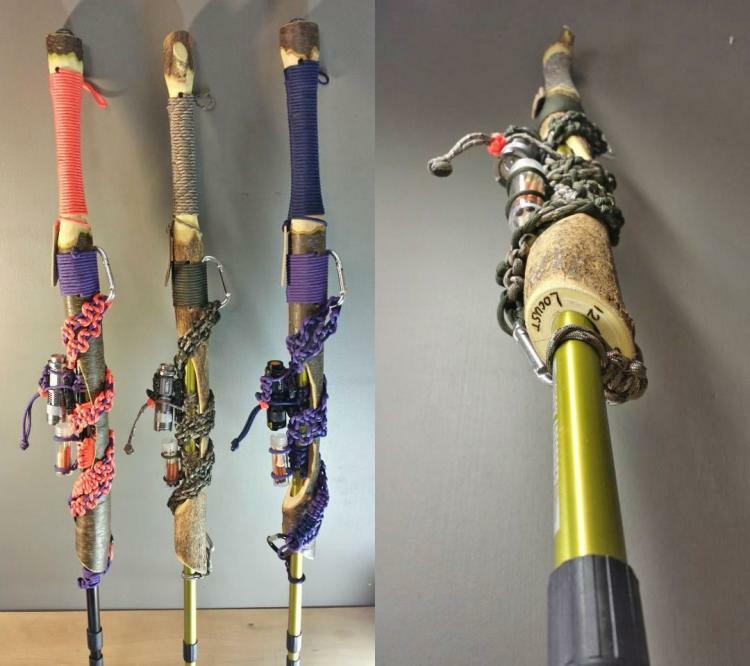 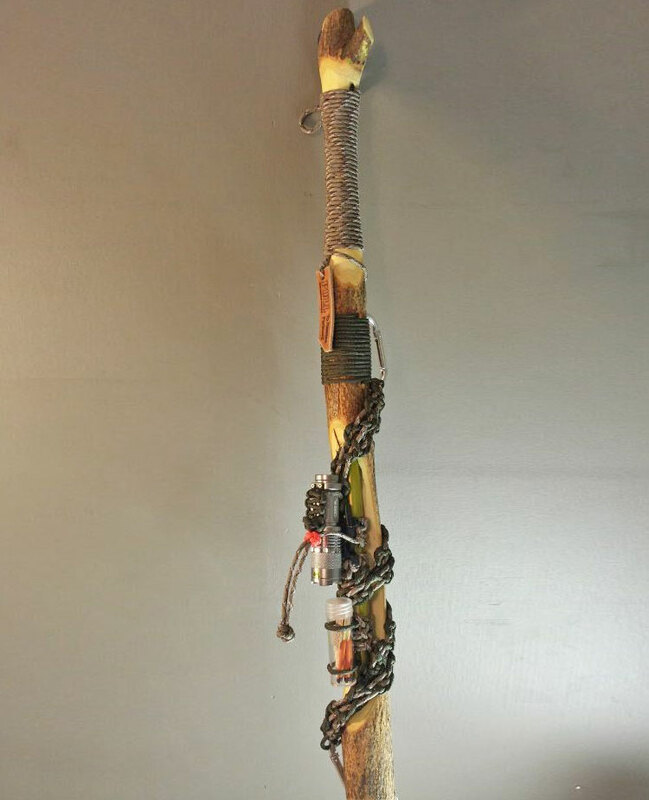 You can custom make your survival hiking stick with your choice of colors for the paracord, as you can choose two colors, one for the handle wrap, and one for the carabiner wrap. 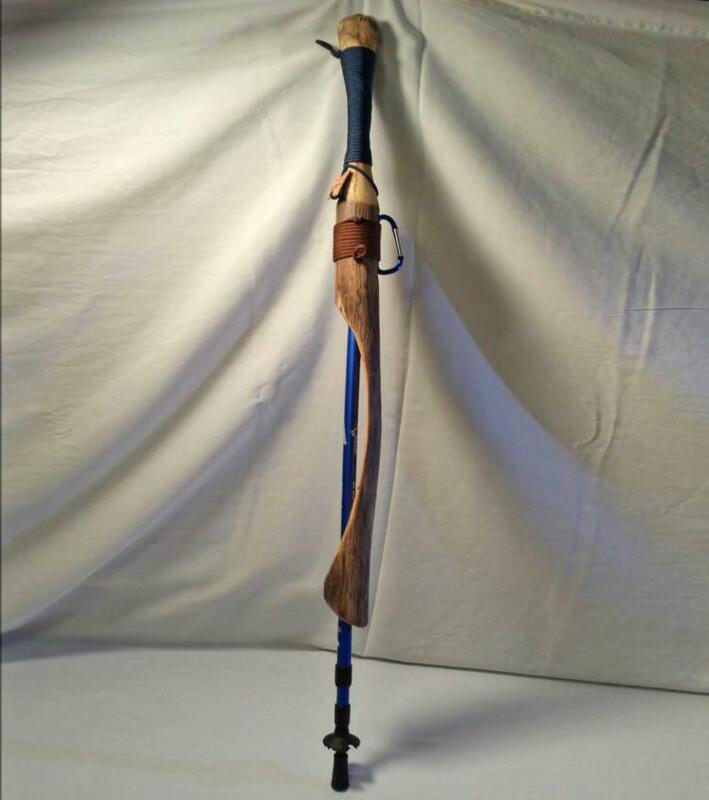 No matter if you're going for a leisurely stroll down a path near you house, or you're knee deep in the jungle hunting wild boar, the survival hiking stick will surely be of help whether you just need a hand while walking, or you need to start a fire during a torrential downpour. 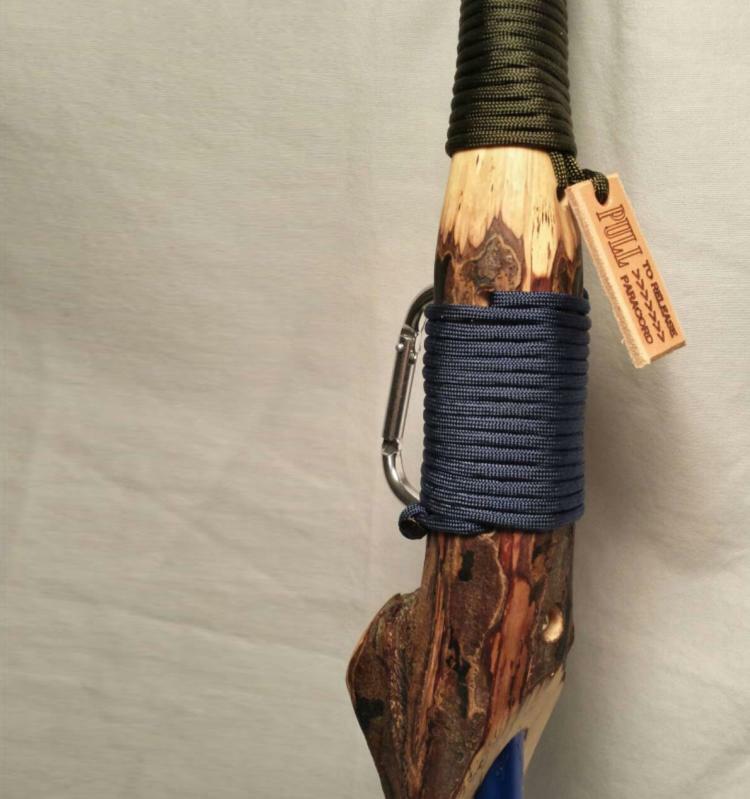 The Survival Hiking stick is also available on Etsy as a more slimmed down version without the flashlight and waterproof vile for a few less bucks.